Since 1981, Surdry has accumulated enormous experience in providing many different solutions to the specific retort loading and unloading needs of our customers. 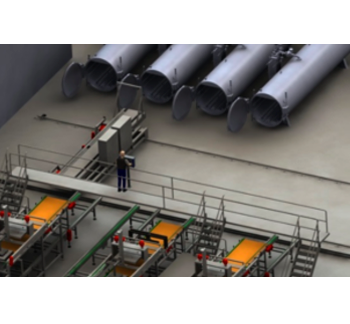 Solutions include many different designs of baskets, trays and trolleys for manual handling, semi-automatic basket and tray loading and unloading machines, up to fully automatic handling systems (ABRS) in collaboration with European first class retort room automation specialists. 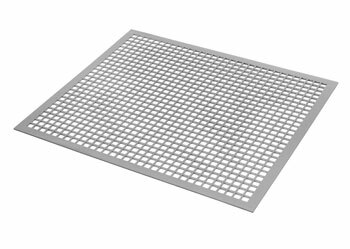 Completely automatic loading and closing (ABRS) retorts are available for high speed production lines and are installed in a closed area for safety purposes. 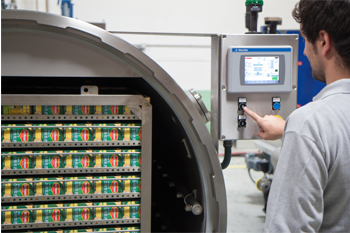 The autoclaves can be controlled by a single operator, a supervisor or from a remote location utilizing Surdry SteriProTM. Surdry collaborates closely with the primary suppliers of load handling equipment to provide the plant layout and suitable equipment to match every need. 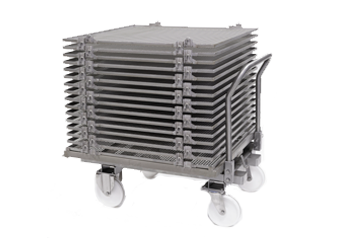 Low cost solutions for small and medium productions with basket or tray transport trolleys, manual door closing and loading and unloading of the autoclave using internal chain conveyor. In all cases, the process is automatic based on the recipes stored in the control system's memory. 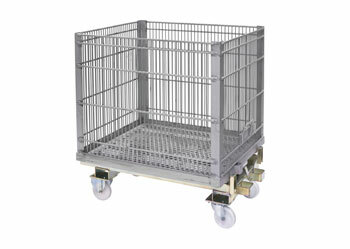 We have an extensive experience with loading accessories for all types of applications.